GENEVA. 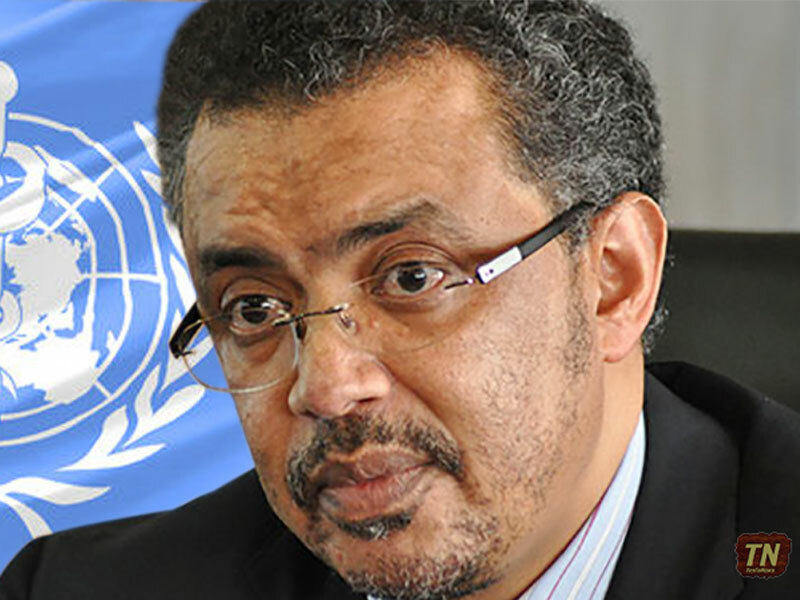 Tedros Adhanom Ghebreyesus of Ethiopia was voted director general of the World Health Organisation yesterday becoming the first African ever to head the agency. The election was the first conducted by the WHO under more open and democratic rules. After nearly two years of public campaigning originally by six candidates, the voting took place in a closed-door session in which the health ministers of 186 countries cast their ballots in secret. Dr Tedros — a malaria expert who campaigned under his first name — ultimately beat Dr David Nabarro of Britain after three voting rounds. The final tally was 133 votes to 50, with three abstaining. Dr Sania Nishtar, a Pakistani cardiologist and expert in noncommunicable diseases, was eliminated after receiving 38 votes in the first round. Dr Tedros, 52, replaces Dr Margaret Chan of China, who has held the post for a decade. The Ethiopian is best known for having drastically cut deaths from malaria, Aids, tuberculosis and neonatal problems when he was Ethiopia’s health minister. He trained 40,000 female health workers, hired outbreak investigators, improved the national laboratory, organized an ambulance system and oversaw a tenfold increase in medical school graduates. As the head of WHO, he promised to pursue health insurance in even the poorest nations, strengthen emergency responses and make the agency more accountable and transparent. Dr Nabarro, 67, has led the campaigns of various United Nations agencies against avian and swine flu, cholera, Ebola, malaria, hunger and other crises. The race, which began in 2015, turned bitter in recent weeks as an adviser to Dr Nabarro accused Dr Tedros of having covered up repeated outbreaks of cholera in Ethiopia, which may have delayed the international response and, more recently, the use of a cholera vaccine there. Dr Tedros was also accused of complicity in his country’s dismal human rights record, which includes massacring protesters and jailing and torturing journalists and political opponents. Dozens of Ethiopians opposed to his candidacy demonstrated outside the Palace of Nations in Geneva, where the vote took place, and one individual who interrupted the proceedings was escorted out. Dr Tedros is from the Tigray tribe, which holds political power in Ethiopia; many protesters are from the rival Amhara and Oromo tribes. Although the WHO directorship is the pre-eminent health policy post in the world — one in which bold leadership can turn the tide against epidemics — the organisation itself is in peril. Some of that money comes with strings attached, directing the organization to pursue specific projects, such as polio eradication.